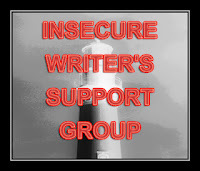 No insecurities this month - instead, it's time to stop procrastinating, to stop thinking about being a writer, and start being a writer. No more excuses, no more distractions, and no more good intentions. I've thought long and hard about what I need to do, and I've put together a 3 step plan. #1 - 30 Day Plan. I've given myself until the end of September to revisit, polish, and submit two of my unsold short stories for publication. I've researched the markets, matched a list of magazines and anthologies to the stories I feel have the most potential, and started the hard part - editing. I took one of the stories with me on a hike this weekend, sat down by the whirlpool rapids with nothing more than those pages and a red pen, and took no mercy on the manuscript. Next step is to make the edits on the screen, polish once more, run by a beta reader, and then submit. #2 - 90 Day Plan. Not sure if this should really be a 60 day plan, since it overlaps with my 30 day plan, but I've given myself until the end of November to collate all my scraps of paper, my digital notes, and my margin scrawls into a revised story arc for my novel. Again, time to stop thinking about rewriting it and actually do it. I know where the weak points are, I know what I need to do to fix them, and I know what threads I need to splice, trim, or twist to make it all work. As much as I'd love to just start writing, I know I need that plan, that visual diagram on my wall to keep me focused. By the end of November that will be done. #3 - 6 Month Plan. Again with the overlap, but this time only with plan #2. I've given myself until the end of March to get a next draft of my novel done and ready for a beta reader. I'm thinking that's realistic, especially once I have that visual road map in place, starting back at me from the wall. The first two chapters and the last four need to be scrapped and rewritten from scratch, and I think there are two or three new chapters to be added throughout, but otherwise the story is solid. Will everything work out perfectly? Of course not. Will there be things that come up at work or at home that will impact my plans? Of course. Does that mean my plans have to change? Absolutely not! No more tweaking my plans because life got busy. I made plans for a reason. I need to stick with them, follow them, and find (or make) time to keep myself on track. I'm not saying it will be easy, but nothing worth doing ever is. Sounds like a good plan. Good luck with it all. You have a great plan! If you need any more short story markets, Milo James Fowler at In Media Res knows hundreds of them.